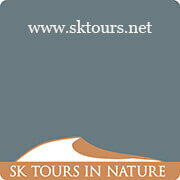 SK-Tours in Nature is a boutique company that develops and promotes different & new ways of tourism to Israel. The team of SK-Tours combines operational professionalism with in depth knowledge of nature, religion, theology and anthropology. SK-Tours has created its own special niche with developing the concept of “MISSION & PASSION OF CHRIST – THE JOURNEY TO JERUSALEM”(Pilgrimage & Pilgrimage Hiking), stressing the linkage between the message of the Gospels and the physical background of biblical Israel (“The Fifth Gospel”). With the concept of “FAIR TRAVEL– Israel/Palestine Educational Study Tours”, SK-Tours addresses topics of achievement and cooperation between Israel and the Palestinian Territories. SK-Tours specializes also in combined regional journeys to Israel, Jordan, Palestinian Territories, Sinai and Egypt.